Product prices and availability are accurate as of 2019-04-21 18:23:49 PDT and are subject to change. Any price and availability information displayed on http://www.amazon.com/ at the time of purchase will apply to the purchase of this product. ePhoto 4 BULBS DOUBLE HEAD PHOTO STUDIO PHOTOGRAPHY VIDEO UMBRELLA LIGHT LIGHTING SET is a fine product and would be a great addition to your photographic tools and accessories collection. Whether you are a professional or amateur photographer or someone just having fun with photography. PhotoStuffOnline is happy that you are shopping on our site. PhotoStuffOnline selects products including ePhoto 4 BULBS DOUBLE HEAD PHOTO STUDIO PHOTOGRAPHY VIDEO UMBRELLA LIGHT LIGHTING SET based on Ephotoinc's reputation for producing durable products. 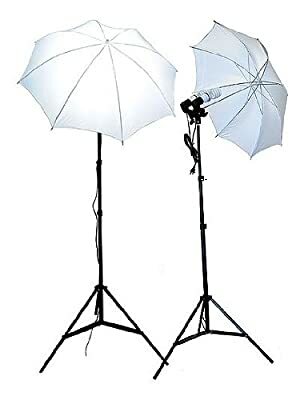 Expert photographers as well as amateurs and beginners alike will be satisfied with ePhoto 4 BULBS DOUBLE HEAD PHOTO STUDIO PHOTOGRAPHY VIDEO UMBRELLA LIGHT LIGHTING SET. Take the next step in your journey and buy ePhoto 4 BULBS DOUBLE HEAD PHOTO STUDIO PHOTOGRAPHY VIDEO UMBRELLA LIGHT LIGHTING SET now at this reduced price and save. Our prices are attractive and are among the lowest on the internet. This is a brand new professional digital fluorescent Video Photography compact studio kit. 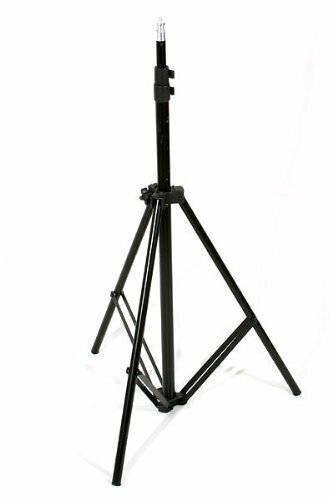 This kit comes TWO double light heads, TWO stands, FOUR light bulbs TWO Soft umbrellas. You could you one as your main light and the other as your fill light. You could use them in the studio photography or videography as well as on location projects. This lighting kit is the most affordable kit on the market today. 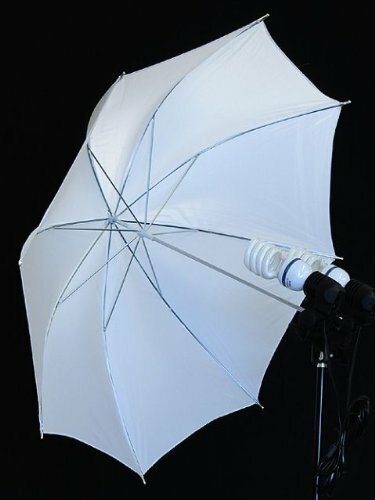 Ideal for portraits & Video Soften lighting with white umbrella Easy to control your lights with ON/OFF switch. FOUR 45 Watt spiral daylight lamp ON/OFF separately ON EACH LIGHT HEAD.